How is it even this time of year again, where I’m sharing the latest and greatest to add to your Christmas wishlist! I think you all know by now MAC probably take the cake for the best holiday releases, I mean I’ve been using the brand for over 11 years now and I can honestly say it has to be the one brand I save my pennies to splurge on, even when I worked for them guess where all my money went… LOL oops!!!! 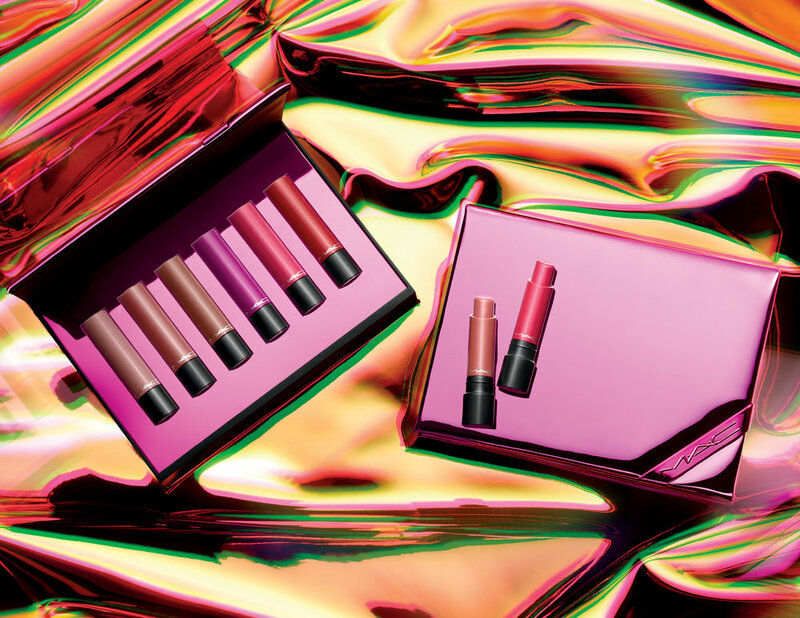 When the email came through this morning from MAC PR titled M·A·C SHINY, PRETTY THINGS I opened that bad boy straight away, because I knew there would be some definite goodness waiting inside! The good news is the mini lips are back hooooraaaaahhhh!!! I managed to grab one of the sets last year but it'‘s too cute to use so it just sits pretty in my studio. As you can see from below its bloody overwhelming how many treats are instore for us all this year! From my previous Christmas buys with MAC, the Brush sets make great pressies for makeup newbies or travel lovers, the lipstick sets are bloody genius and are just the cutest so they are a must, even if you don’t end up using them like me lol…. The lip bags are also great value for money, and this year I am all over those face kits, the glowgetter and the skinfinish because I am all about that base!!! I can’t report on quality yet as I havent physically tried anything myself, but I’ll report back with my purchases and let you all know what I think either way! So here is your warning… your Christmas shopping starts now and don’t forget to pop in those To Me.. From Me treats you 100% have my permission!! A Little Moonlight, Statuesque, Midnight Toast , Holiday Time! SHINY PRETTY THINGS LIP TRIO KIT	LIP TRIO KIT	$ 90.00 Farmers exclusive (farmers stores include Riccarton, Bayfair, Manukau, Hamilton, Queensgate, Albany & farmers.co.nz). Exclusive to M.A.C stores: Sylvia park, St Lukes, Botany, Ponsonby, Riccarton, & Britomart. SHINY PRETTY THINGS ALL STARS KIT VELVET TEDDY $ 55.00 Exclusive to H&J Smith Dunedin, Ballantynes Christchurch, David Jones Wellington, Smith & Caugheys Newmarket and Queen street. SHINY PRETTY THINGS FIX+ PARTY PACK	FIX+ TRIO $ 55.00 Online only, farmers.co.nz & smithandcaugheys.co.nz.